Proudly serving the Chicagoland area including Cook, Lake, McHenry, Boone, Kane, DuPage, Kendall, Will, and Kankakee Counties. Welcome to Protech Home Inspections, where our experienced home inspectors provide property buyers with an honest and practical guide to understanding their future home. Understanding a property’s condition and unique flaws or strengths is important for buyers at all experience levels, so we encourage both first-time buyers as well as experienced buyers or investors to attend the inspection. Your questions and concerns are our top priority. Be sure to call us the second your offer is accepted so that we can schedule your home inspection appointment and start teaching you about your new home as soon as possible. Protech Home Inspections is owned by Michael Larmon Jr. and is run with the help of his father and company founder, Michael Larmon Sr. We have been in business since 1987 and have completed thousands and thousands of comprehensive home inspections. We consider ourselves to be the best home inspection company in Northern Illinois, and our reputation speaks for itself. We are well-known in the industry for our level of experience and the way we conduct our business with integrity and honesty. We use HomeGauge Software to generate inspection reports that are detailed, user-friendly, and helpful in the understanding of your new home and each of its systems and components. You will receive email access to your report within 24 hours after the completion of your inspection. An interactive tool called the Create Request List (CRL™) is also featured in the report. 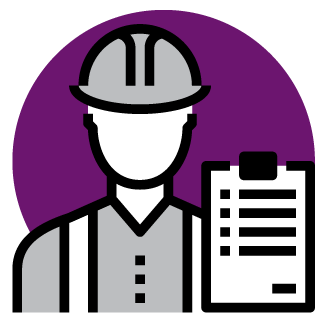 With the CRL™, you will be able to build a list of repairs you’d like to see completed directly from the report itself. The CRL™ can be shared, downloaded, and updated as often as you’d like, taking all of the stress out of requesting repairs and communicating with your realtor or seller. Call us after receiving your report with any questions.